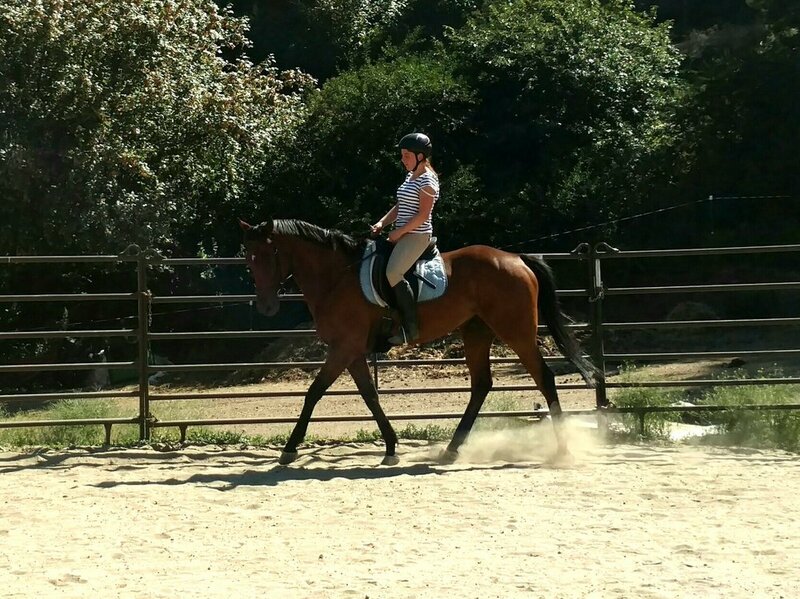 We offer Working Equitation, western, english, dressage, jumping, and Mountain Trail lessons here at the ranch. You can haul in your own horse or use one of ours. During each lesson we focus on the partnership between horse and rider, your seat aids and learning to ride from the seat of your pants. 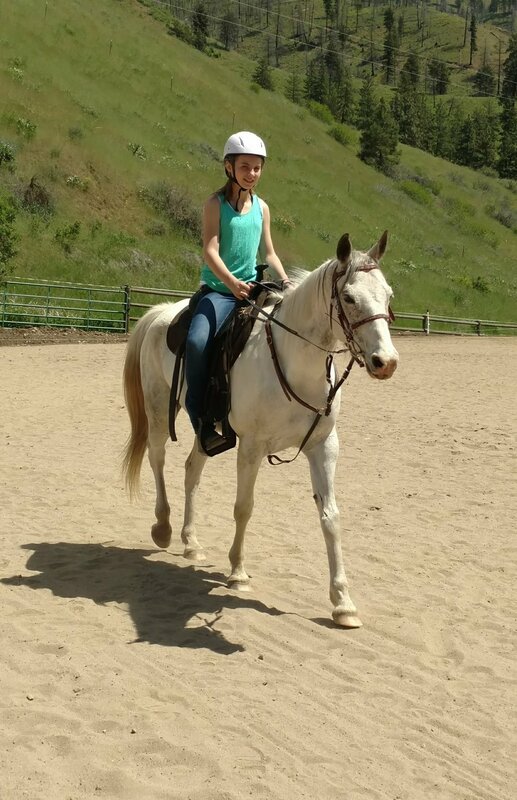 For the trail lessons you will start from the ground to acquire the communication needed between you and your horse before riding the course. 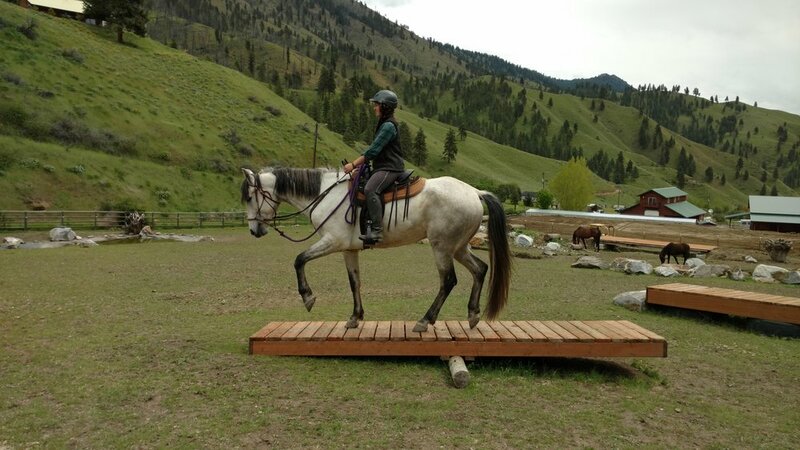 All obstacles will be done from the ground in-hand and then ridding in the saddle. Once you have been qualified to ride the course you can pay a $15 haul-in fee for 2 hours on the course or arena. 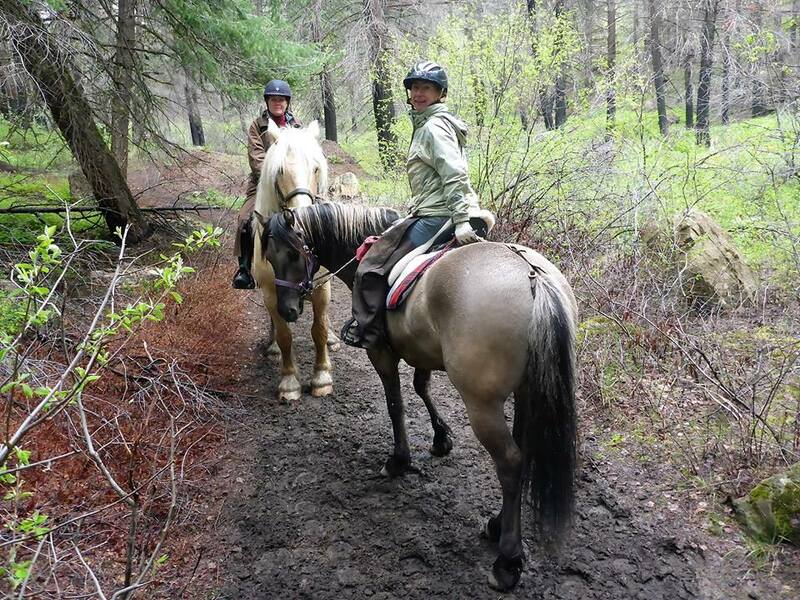 At Rendezvous Ranch, we specialize in training for a safe and sane trail horse. 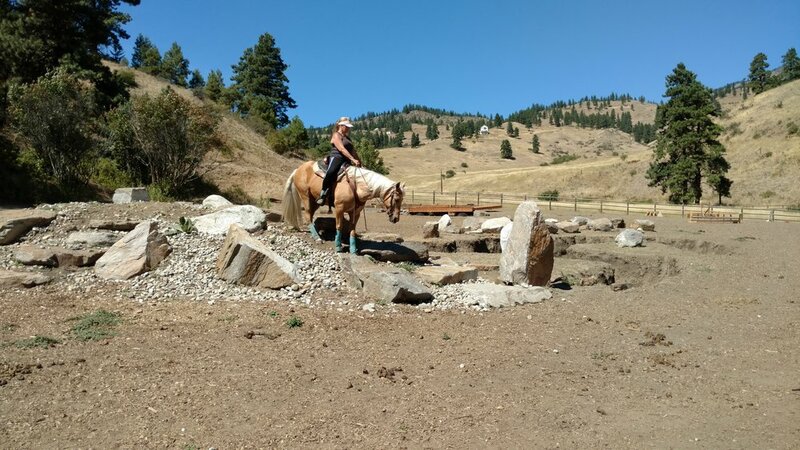 We use our methods and trail course to create a bold, confident trail horse that is secure in the mountain environment. Whether starting as a young horse or refreshing an older horse, we can provide the highest quality of training for your horse. We can also start horse and finish for most any discipline. The owner can come in at any time and observe the training in progress. *Boarding fee per month $400.00 (this includes a paddock and feeding of hay twice a day; owner must furnish supplements and bedding). *Boarding fee is included in the $1,000 a month training fee. Overnight haul in fee is $20.00 per night (you provide hay).